Ellen hinted a post or two ago that I would be forthcoming with a great big story about the driveway gate project. Now that it is mostly finished (my projects seem to have a habit of getting about 93.54% complete) I will do an installment series about the process. Speaking of heat, I had planned to get this project done before summer kicked in so that I could do nice indoor projects like trimming and painting the stairs with the air conditioner cranked way up. 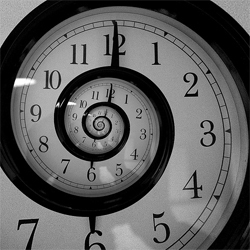 I am pretty seriously reality challenged when it comes to project time estimates, though. Cost estimates, too. The adage about everything taking twice as long and costing twice as much really is true. The main reason the gate project has taken so much time is that I also have a habit of making things way more elaborate than they need to be. For instance, I decided that the thing to do for the gate was to do all the construction with joinery, instead of plain old angle braces and screws. I used blind mortise and tenon joints on the frame, tongue and groove planks for the fill that are nested into a groove running all along the inside of the frame. I knew this approach would take much longer, but it may have quadrupled the time I thought it would take. Delays and postponed completion aside, I am very glad I chose to build it the way I did. 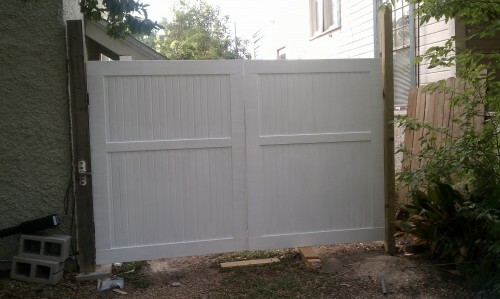 The finished product is much more attractive than a run of the mill gate and I am very proud of my accomplishment. The whole reason I wanted to fix up a house is that it is leisure time for me. Not some task to be accomplished, or mountain to climb because it is there, or war to win. Look at that, I managed to write about life despite myself. Next time I’ll tell you the story about how I got started on the gate. Sneak peek at the latest project! Once it’s completely finished, Kelly will have what I’m sure will be a long post with all the details of how he created our latest project. But for now, here’s a sneak peek at the driveway gate!